What makes it a Woody? The wood trim of course! If you are like many other Grand Wagoneer owners, you are looking to improve your Jeep inside and out! Whether it’s your daily driver or your looking to have your Grand Wagoneer professionally restored. TGW supplies only OEM quality replacements parts. 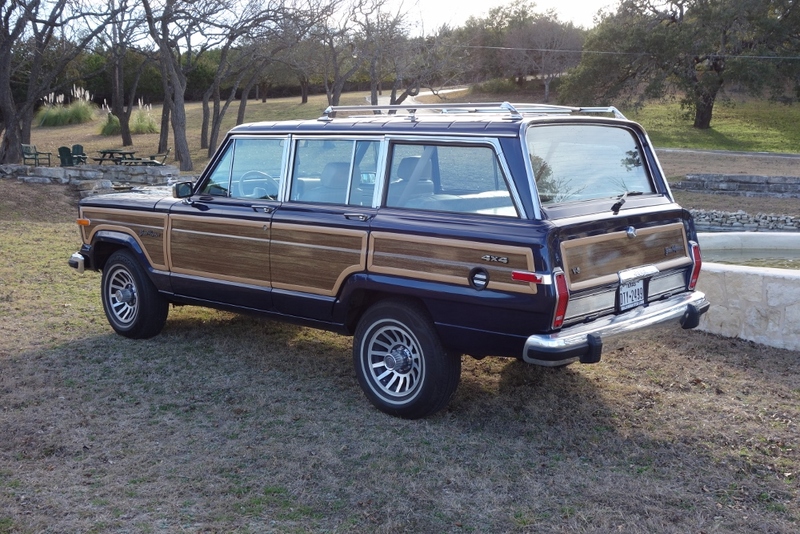 Team Grand Wagoneer provides parts for many professional Grand Wagoneer restoration companies. Our wood trim is made from only manufacturer quality materials and the look is as close to the original as possible. 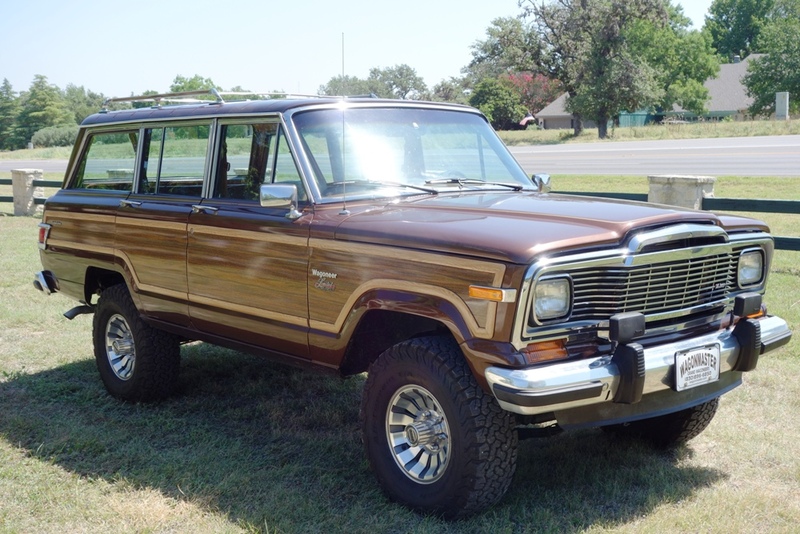 If your Jeep is in need of a cosmetic overhaul choose only the best, Team Grand Wagoneer wood trim and vinyl. In addition, you will also receive the wood trim vinyl for the roof rails. If you need vinyl for the rear deflector we have it as well. We are certain that you will not be disappointed with our trim kit. When professionally installed it is very hard to tell it’s not ORIGINAL! CAN YOU TELL WHICH ONE IS ORIGINAL? the vertical wood trim at the front of the front doors, rear of the front fenders, the front of the rear quarters and the rear of the rear doors. If you DO NOT have the vertical pieces you have the the "Open End Mouldings"
If you DO have the vertical mouldings you have the "Closed End Style Mouldings"